What role does the parish play? Is there really still a future for the parish system? How can the parish survive the shifting landscape both in the church and in wider society? Should it survive, or is it a relic of a different age? Has the parish had its day? These are the questions we’ll be asking during what promises to be a lively, stimulating and provocative discussion in October. Along with our friends at The Church Times, we’ve been assembling an array of church leaders, theologians, and sociologists to discuss and debate the place of the parish in society today. Inspired by Radio 4’s The Moral Maze, the event will see a group of main panellists discussing the issues, and interrogating a series of ‘expert witnesses’. Participating as expert witnesses will be Andrew Rumsey, (Rector of St Mary’s Oxted and author of Parish: An Anglican Theology of Place), David Goodhew (Director of the Centre for Church Growth Research), Andy Milne, (pioneer founder of Sorted, a fresh expression in Bradford), and Alison Milbank (Associate Professor at Nottingham University, and author (with Andrew Davison) of For the Parish: A Critique of Fresh Expressions). Maeve Sherlock will be chairing the evening. The event will be held in St Mellitus College, London on 9th October at 7pm. Tickets are available now from www.churchhousebookshop.co.uk/parish-event (£10 general admission/£5 students and ordinands). You can catch two SCM authors in The Leaves venue at Greenbelt this year. On Sunday 27th August at 12:30pm, Andrew Rumsey, author of Parish: An Anglican Theology of Place will be speaking on “Parish and Place”. He’ll be considering whether, as political and environmental debate increasingly links the global to the local, the parish’s time might just have come again. Then, on Monday 28th August, at 12:30pm, Justin Thacker, author of Global Poverty: A Theological Guide, will argue against those on the right who say that because the poor are always with us, we needn’t do anything to help; but also against those on the left who say we can end poverty if we just try hard enough. Instead, he’ll propose that precisely because we’ll always be among the poor we need a motivation for poverty alleviation that is long-lasting and goes beyond mere clictivism. As ever, we’ll be attending a couple of academic conferences and summer schools in the next few months. SSCE – Society for the Study of Christian Ethics, 8th-10th September, Westcott House, Cambridge. Michael Moynagh’s Church for Every Context offered a landmark study of the theology behind the Emerging Church Movement. In July, we’re publishing the much-anticipated follow-up to that work, Church in Life. 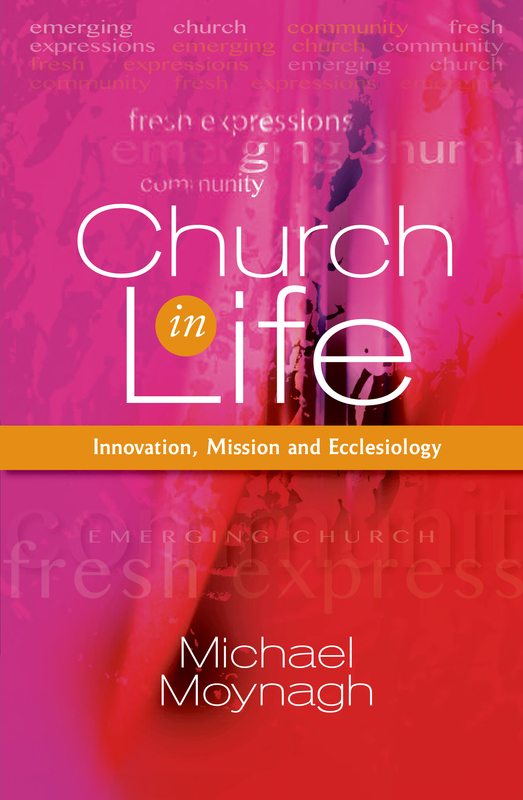 Taking account of the significant developments in practice and thinking around the emerging church, Church in Life will, like its predecessor, quickly establish itself as a key text for all interested in pioneer ministry, fresh expressions, church planting, church growth and ecclesiology. Edited by Stephen Platten, Oneness: The Dynamics of Monasticism uses a focus on the life, practice and history of the Shepherds Law community as a starting point, but broadens the discussion to consider the how such communities negotiate the boundary between the solitary life and life within their community. There are contributions from a wealth of eminent academics, including Diarmaid MacCulloch, Andrew Louth and Sarah Foot. The Archbishop of Canterbury, Justin Welby, provides the foreword, and there is an afterword from Rowan Williams. Martyn Percy, Dean of Christ Church in Oxford, says that “this remarkable book will prompt some profound soul-searching for all who take time to dwell on its’ message. The engaging reflections that each author provides will surely lead to a renewed vocation – to go deeper with God in the shallows of our time.” The book is published in August. It is often considered controversial to draw any links between the worlds of leadership, management and organizational behaviour and that of churches. Written by Vaughan S. Roberts and David Sims, Leading by Story argues that there is plenty of common ground to be found between the two apparently disparate areas, in particular with the role of story and stories. The authors establish a conversation across various disciplines, including theology and church history but also organisational and practical theology and explore how story and narrative work through and within churches. The book is published in September. T he intersection of religion and development has for some decades been considered contentious, with scholars of both disciplines inhibited by the constraints of either the religious or the secular paradigm they primarily inhabit. 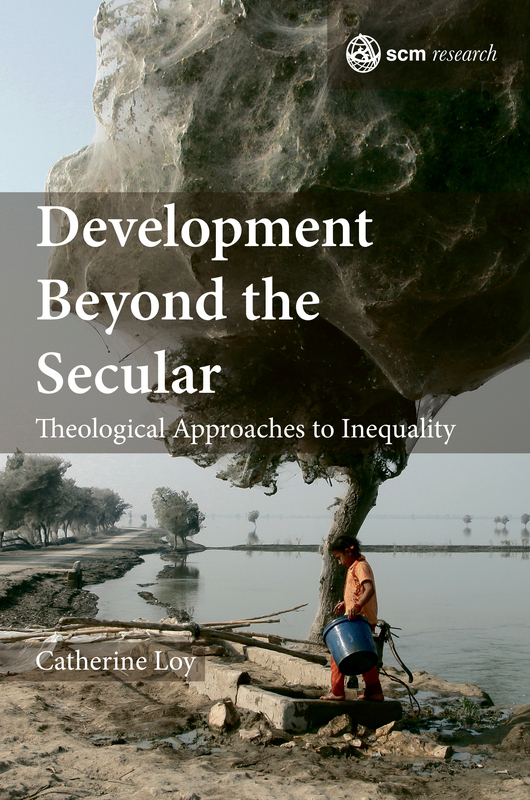 The second in our new SCM Research publishing strand, Catherine Loy’s Development Beyond the Secular: Theological Approaches to Inequality offers a provocative and searching examination of the theological underpinnings of development work and questions how Christian values are manifest through day-to-day work in the world of poverty eradication. Coming in September. 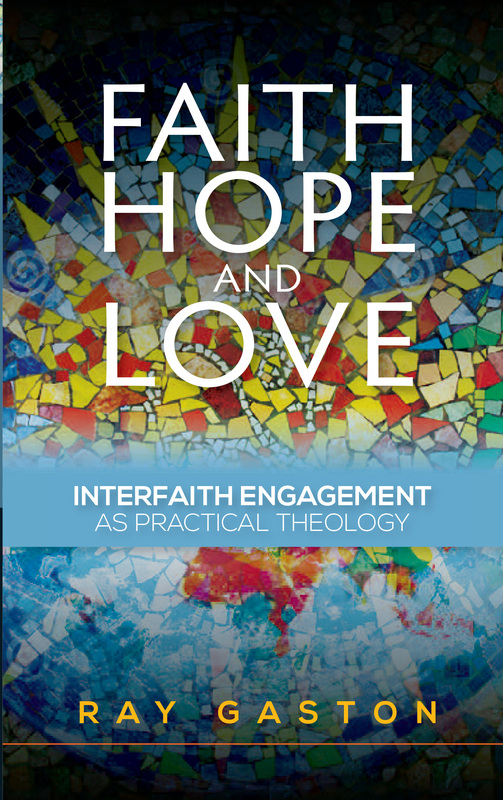 Demonstrating a new and innovative approach to interfaith engagement, the book argues for theological reflection on the multi faith reality of our society to focus on the practice of Christian interfaith engagement, drawing on the tools of contemporary practical theology. The author, Ray Gaston, draws on contemporary models of research in practical theology, such as auto ethnography, qualitative interviewing and analysis of spiritual journaling, to explore grassroots Christian engagement with other faiths and its impact upon Christian self-understanding. In February this year, the Archbishop’s Council published a report entitled ‘Setting God’s People Free’ which called for fresh thinking in the way the church equips all members, not just the clergy, for ministry throughout the week. In today’s guest post, David Heywood, author of Kingdom Learning , examines the report’s pitfalls. It means a changed mind-set among every member of the church, clergy and laity alike. Instead of seeing themselves as clients of the clergy, ordinary church members will begin to see themselves as ‘missionary disciples’, to use a phrase from Pope Francis. Meanwhile, the clergy’s understanding of their role will change from ‘ministering to’ to ‘serving with’. and ordained ministry consumes the overwhelming proportion of the Church financial resources, time and energy. Moreover, the vital ministry of the whole church is seen as relatively insignificant, to the extent that ordained ministry is routinely referred to as ‘the’ ministry. Unfortunately, while strong and eloquent on the shape of the problem, the report is weak on the solutions. The authors propose a number of ‘levers’ through which they hope to accomplish the kind of change that is needed. In their place, I suggest the following, several of which are addressed in my books Reimagining Ministry and Kingdom Learning. Clericalism needs to be named and addressed, not as an unfortunate element in the church’s thinking and practice but as a grievous sin, which holds us back from participating with God in his mission. The Church, led by its bishops, needs to acknowledge publicly the damage this aspect of its inherited culture is doing and determine to adopt a new mind-set and a renewed practice. As ‘Setting God’s People Free’ acknowledges, God’s people, lay and ordained, need to learn a new theology of ministry and mission, capable of resourcing and guiding discipleship and ministry in ‘work and school, gym and shop, field and factory’. Programmes lay discipleship and clergy ministerial development alike need to major on helping people to understand role of the local church in the mission of God, and enabling them to discern the presence of the Holy Spirit and the signs of God’s kingdom in society beyond the church. The Church needs to determine to draw on good practice in adult education to resource its ministry of teaching and training at all levels, from the confirmation class to ministerial formation and development for lay and ordained. ‘Few churches,’ the report declares, ‘are equipped with the kind of “action learning” approaches that we see in Jesus’ disciple-making and in best practice in adult learning models in wider society’ (page 18). This point, repeatedly made by a handful of enthusiasts for adult education over many years, has yet to make any appreciable impression on an institution still locked into outdated and unfruitful methods of teaching and learning. As part of an ‘action learning’ approach to adult discipleship, theological reflection provides a variety of methods that enable people to make connections between Christian faith and the situations they encounter in everyday life. Theological reflection both exercises and trains the virtue of ‘practical wisdom’, the key to discerning the presence of God at work in the world. It turns Christian faith from a set of theoretical beliefs into a life-giving ‘wisdom for life’. Theological reflection and the wisdom it brings also enables whole churches to examine themselves, honestly facing the question of whether their inherited ways of working and patterns of relationship faithfully reflect and proclaim the gospel. Churches are enabled to become ‘learning organisations’, capable of changing and adapting without losing touch with their core vision and purpose. Rather, it is that core vision that resources the process of reflection, which enables them to grow and change. Finally, the Church of England as a whole needs to embrace a process of adaptive change. ‘Setting God’s People Free’ with its ‘levers’ for change, has fallen into the same trap as much of the rest of the Reform and Renewal agenda: that of proposing ‘technical’ solutions to the challenges facing the Church. In contrast, adaptive change begins by asking whether we rightly understand the problem. It opens up a space for reflection in which to gain new insights and new perspectives. The Church and England, and perhaps other Churches, urgently needs to ‘reimagine’ both ministry and discipleship. Reimagining Ministry and Kingdom Learning suggest how this reimagining might take place. David Heywood is Director of Pastoral Studies at Ripon College Cuddesdon. Kingdom Learning is published on 30th June. Preorder now via our website at the pre-publication offer price. ‘We don’t do God’, Alastair Campbell famously declared. However you would have chosen to answer the questions put to Tim Farron during his UK general election campaign, it’s clear that his resignation raises some interesting questions about whether those in political power can – or should – be expected to defend their own personal religious positions. Can we tolerate leaders who hold personal religious convictions which sit outside of a party’s, or society’s, prevailing attitude? Should politicians ‘do God’? As the Church so often urges congregations to see their faith as something which affects the whole of life, workplace and all, should we make an exception for our political leaders? Should they instead keep their faith as something to be practised behind the safely closed doors of the church, or the synagogue, or the mosque? That perennial question rears its head once again – can politics, and politicians, do God? Although the Church of England is now beset with a number of serious internal problems, and, for several reasons, less influential in public life than at any other time during the past two centuries, it nonetheless retains a deep social commitment and a concern for the well-being of the nation as a whole. Its involvement in social and community work is impressive. Moreover, the statements of its leaders on political, economic and social questions continue to attract media attention, and government ministers often feel obliged to respond publicly to criticisms of their policies. There is no reason therefore for the Church to reduce its prophetic witness, and the only issues for discussion concern the forms this witness should take and the resources available to make it effective in an increasingly complex and secularized society. The 1941 Malvern Conference, followed quickly by the publication of Archbishop William Temple’s Christianity and Social Order marked the end of an era of Anglican visionary social thinking that began with the theological work of F. D. Maurice in the mid-nineteenth century, developed through the witness of the Christian Social Union in the late Victorian and Edwardian periods, and reached its climax at the COPEC Conference in 1925. Malvern added nothing new to this but helped to carry the movement of thought forward into the heart of the most appallingly destructive war in human history. The chief recommendations of this conference, which included matters such as adequate housing, education, working conditions, wages and leisure, were in significant measure met by the provisions of the Welfare State and the growth in national prosperity which, with a few ups and downs, characterized the remainder of the twentieth century. These years witnessed social changes, including less respect for religious institutions, that radically altered national life and culture. Meanwhile, the Church of England’s leaders were becoming preoccupied by their own institution’s needs and problems. Much time was devoted to liturgical and synodical reform, both against the background priests and politics 200 of declining church attendance. This decline accelerated quickly after the 1950s, creating distracting financial and clerical manpower pressures. Circumstances, which also included the lack of a commanding figure such as Temple had been, and little development in the field of Christian social thought, conspired therefore to inhibit further comprehensive critical commentary on the nation’s life. Which is not to say that the voice of the Church was silent. 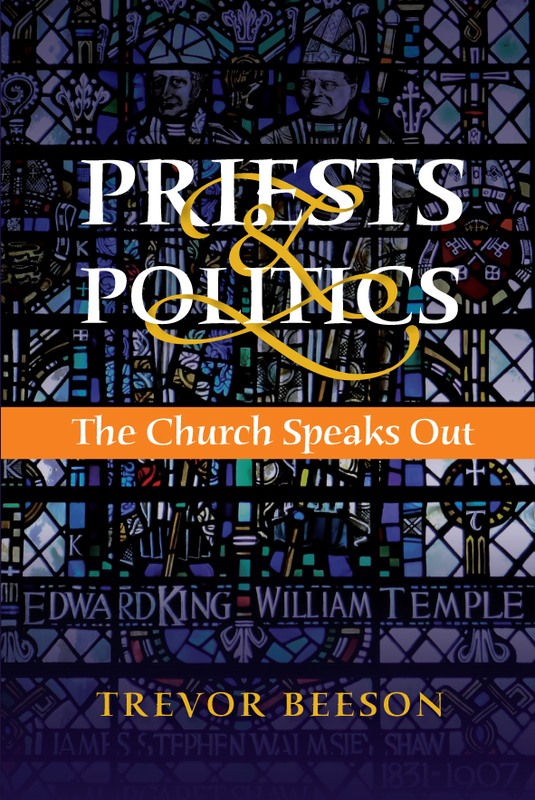 Several chapters in this book provide evidence of substantial initiatives by individuals and groups of Anglicans during this time, and there were others for which space could not be allocated. These included abolition of the death penalty, child poverty, ecology, immigration and nationality as well as major enterprises of aid to the developing world. Here it is to be noted that these were addressed to particular issues, rather than to broad programmes of reform, and that they were tackled with expertise – often a great deal of expertise. This characterized the many reports produced by the Church of England’s Board of Social Responsibility which, over a long period, used the resources of its own staff and a large number of others, often distinguished in their fields, who were willing to devote a good deal of time to serious projects. Putting Assunder, The Church and the Bomb, Faith in the City and Faith in the Countryside attracted much attention, and the titles of just a few others indicate the range – Ought Suicide to be a Crime? (1959), Punishment (1963), Abortion: An Ethical Discussion (1965), Not Just for the Poor (1986), Growth, Justice and Work (1986). It must be a matter of the utmost regret that the majority of these were, after a flurry of publicity attending their publication and some synodical debate, consigned to gather dust on unvisited shelves in Church House, Westminster. In most cases, fewer than 100 copies were sold. The dioceses and parishes hardly noticed them, and, even more seriously, they did not find their ways into the hands of the statutory bodies responsible for policy in their areas of concern. In these circumstances, it is perhaps hardly surprising that when the General Synod was faced with serious financial constraints, the resources previously available for such projects were savagely cut and the reports reduced to a trickle. Yet the need for the Church’s pronouncements on political, social and economic matters to be informed by accurate information concerning the facts and the likely outcome of any decision-making by those responsible becomes ever greater. William Temple’s criticisms of bankers in the 1930s drew the not unjustified response that he simply did not understand the workings of the banking system. How much more difficult then to understand its complexities today when many of the bankers themselves are baffled? A distinction has to be made between general statements of moral principle, which are part of the Church’s calling, and attempts to apply these principles to particular issues which nearly always involve multiple factors and require compromise. Compromise has some bad connotations and needs to be used cautiously, but refusal to deal with it may be tantamount to withdrawal from serious decision-making. It may have either responsible or irresponsible manifestations. The former has belonged to the Christian ethical tradition from the earliest days of the Faith. It is, for example, doubtful whether Jesus intended the absolute ethical demands enshrined in his Sermon on the Mount to be treated by his followers as a precise guide to their future behaviour. Rather they were held up as shining examples of love in action, the spirit of which must infuse all their choices. The evangelical counsels of perfection, as they are called, can in fact be obeyed only within the sheltered life of a closed religious community, and even there failure is not unknown. Elsewhere, the discipline of the Christian life consists in a constant Spirit-guided attempt to let Love take control and in the many situations where the issues are not clear-cut make the most loving, and therefore the most life-enhancing, choices, even when these may be less than ideal. The Church’s moral theologians have often offered guidance in this area of Christian obedience, and individual believers have often found this helpful. But much greater challenges attend Christian decision-making when this is required in corporate, rather than individual, spheres, and only limited assistance can be offered by those who are remote from the complex factors involved. Some can nonetheless point to principles of great importance shared by other religious and moral traditions. This note of sober realism is bad news inasmuch as it suggests that little in the way of social improvement can be hoped for. But Niebuhr saw the whole of life in terms of a perennial paradox. Christians judge themselves and the world in the light of the eternal, yet work ceaselessly to transform society while under no illusion that society can ever be perfected. Christians will find no ultimate fulfilment in society, but neither will they find salvation apart from social and political engagement. Don’t forget – It’s free UK p&p day today (15th June). You can benefit from free postage and packaging across all books ordered via our website (www.scmpress.co.uk). This month we’re excited to be publishing God, Neighbour, Empire: The Excess of Divine Fidelity and the Command of the Common Good, by the renowned biblical scholar Walter Brueggemann. In her foreword, which is reproduced below, Dr Jane Williams tells us that in the book Brueggemann “brings all the weight of his scholarship into connection with his preacher’s heart and his poet’s words”. Walter Brueggemann has the gift of enabling his readers to enter the biblical world afresh, and to hear the many voices of the people of the Bible. The Bible does not witness to a simple, monochrome response to God and to life; instead it is full of people who are sometimes faithful, sometimes not, sometimes brave, sometimes cowardly, sometimes altruistic, sometimes self-serving. And yet running through the Bible there is the constantly subversive thread of the action of God, which refuses to let people settle either into selfish disregard of others or into nihilistic despair about themselves and their world. The dominant figures of the world do not shape the biblical narrative as they doubtless imagined they should. With inexorable gentleness, another voice emerges – God’s. Subtly but persistently, different strands of the biblical narrative critique each other, as what emerges is a willingness to question human assumptions, particularly about power and status. Brueggemann’s classic, The Prophetic Imagination showed that this questioning is a source of refreshment and challenge. Prophecy brings into play new possibilities, through life-giving and transformative judgement. Similarly, in Praying the Psalms, Brueggemann helps us to hear the necessary movement of hope, that comes when we are wrenched away from a settled state of indifference to the plight of the world, journeys through a profound disorientation, as the world no longer seems safe or meaningful, and moves to a re-orientation towards God, the one true hope and life of the world. In this new book, Brueggemann again brings all the weight of his scholarship into connection with his preacher’s heart and his poet’s words, in a way that enlightens the biblical text and then shines that light onto our own society. The rulers of ancient Israel, like most rulers, told themselves and their people a story in which the purpose of the world is to make wealth for the powerful; and if this is what the world is for, then it justifies all the kinds of violence and aggression that are necessary to fulfil that purpose. Religion, too, can be pressed into the service of this vision, with rituals and liturgies that celebrate and glorify the mighty. But alongside this liturgy of Zion, as Brueggemann describes it, there runs the constant countercultural voice of the Sinai narrative, where God calls his people out of the power of Pharaoh and into the wilderness, where they can learn to live in dependence upon him and his provision. This ‘countertext’ is the source of a different understanding of what the world is for. The justice and law that Sinai offers is based on relationality: we are to see each other, face to face, neighbours, including the alien, the stranger, the widow and the orphan. Sinai justice is not about order imposed by the powerful but about transformation to enable the flourishing of the powerless. A good and holy person, according to the law of Sinai, is one who helps the community to flourish, who is a good neighbour to all, and particularly to anyone in need. Human agency is called into the service of this vision by a God of grace and fidelity. Like the world of ancient Israel, ours is still a world that tells itself many different stories of what we are for, of what makes for a good life, and a good society. Many of those stories still seem to involve a high level of cost for the powerless so that the powerful may have wealth; they still seem to require that order should be imposed from above to keep wealth stable, rather than that order should well up from below, to allow the needy to flourish; they still seem to blind those who make decisions about the course of the world so that they cannot see the faces of those who are being treated as of no account in those decisions. Brueggemann challenges us, too, to hear the Sinai narrative that dares us to step out of slavery into the wilderness and to build a world that is for the common good, not just for the good of the few. This book is inspiring reading for any who preach regularly: it takes us deep into the heart of the biblical text, illuminating it with profound insight. As it does so, of course, it also brings us face to face, heart to heart, with the Bible’s whole point – God. God is just, faithful and gracious, drawing human beings into loving and transformative action, never diverted or blocked by human stupidity and intransigence, always active, living and lively, bringing hope and possibility. God does not know that the world is meant to make the rich and powerful wealthy and to keep them that way; God sees the faces of each one he has made, and in each face, the Father sees the beloved Son, and the Holy Spirit, the life-giver, broods over the chaos to bring new life to birth. Jane Williams is Assistant Dean and Lecturer in Systematic Theology at St Mellitus College. Walter Brueggemann’s God, Neighbour, Empire is published in the UK on 30th June. If you order before that date, it’s available for a special pre-order price via our website. Today we bring you a guest post from Andrew Rumsey, Rector of the Oxted Team Ministry and author of Parish: An Anglican Theology of Place which is published later this month. ‘Parochial’ is a problematic word. In the past year, following Britain’s decision to withdraw from the European Union, it has also become highly politicised. Whilst ‘parish’ easily evokes an idyll of (probably rural, probably English) settlement, its extended form ‘parochial’ is almost always employed in the derogatory sense of blinkered insularity: the social drawbridge slammed shut. For those watching in dismay at the growth of popular national movements across Europe, the new parochialism is a doubly bad thing, denoting both fear of the outsider and the retrogressive urge to regain some Edenic past – ideally at a point when nurses still wore hats. And yet, according to the Irish poet Patrick Kavanagh, ‘All great civilisations are based on parochialism ‘Greek, Israelite, English…’ Continuing that ‘it requires a great deal of courage to be parochial’, Kavanagh’s point is that parochialism involves confidence and pride in the authenticity of local experience, which requires no constant comparison with, or recourse to neighbouring forms of expression. Parish is, after all, the nearby community, and it is this ‘nearness’ that is the key to most of the perceived blights and benefits of parochial life – its equal suggestion of settled support and suffocating pettiness. That the word has such a painful double edge is due to its unusual blend of secular and sacred associations. In ancient Graeco-Roman society, paroikia described the community of people either living physically beyond the city boundaries (literally ‘those beside the house’) or as non-citizens within the walls. They were those who lived nearby, but didn’t quite belong. Not a little ironic, then, that ‘parochial’ has come to epitomise insularity and self-containment when its original meaning is far closer to our contemporary definitions of interloper or refugee. Its effective transition in meaning from ‘stranger’ to ‘friend’, came about because the early Christian church adopted ‘parish’ (much as they had done with another political term ‘ecclesia’) for their own local organisation. The Christian paroikia were those who didn’t belong in a worldly sense but had found their place in the community of Jesus Christ. When, in the late sixth century, Roman Christianity returned to England with the arrival of Augustine on the Kent coast, this parochial idea came ashore too. Very gradually (only becoming a national ‘system’ by about 1200) the parish grew into the essential building block of English society, and the nucleus of all local government. Only in my grandparents’ lifetime did the parish concede to secular local authorities this historic responsibility, not only for souls, but schools, roads, welfare and myriad other details of communal life. Glance at the minute book in my church vestry and, up until 1894, the discussions are mainly about local drainage. This legacy could, of course, be remarkably oppressive (think ‘God is love’ emblazoned above Oliver Twist’s workhouse) and so it is unsurprising that parochialism emerged as a curiously ambivalent word: both a communal ideal to aspire (or return) to, and an utterly stifling place, from which one must, at all costs, break out. Parochialism is thus the bane and boon of English politics. Like all positions, it has besetting strengths and weaknesses: the latter always being various shades of nostalgic xenophobia – and (under certain conditions) their more chilling progeny. Its contrasting strengths, however, are communal cohesion and the resulting confidence to engage openly with those beyond our borders. To play down boundaries is to not belong anywhere in particular: which is why internationalism, by denying cultural identity, is equally prone to fostering bigotry. Whenever received wisdom insists that social conservatism and attachment to territory are necessarily a symptom of something sinister – then extremism and insularity become self-fulfilling prophecies, being the only lens people are offered to view these allegiances through. England, owing to her imperious role in the formation and governance of the United Kingdom, is chronically prone to this condition – unlike the Scots, for example, whose commitment both to ‘Little Scotland’ and radical social inclusion is something the English can only watch with envy and a heavy measure of despair. If liberalism is to survive in post-Brexit Britain, it has no option but to reconsider its longstanding antipathy to social boundaries, local and national. In his early poem Mending Wall, Robert Frost uses the gruff refrain “good fences make good neighbours”, repeated by the old man living next door, to explore the paradox that boundaries are necessary in order for people to live together. “Before I built a wall”, Frost reflects, “ I’d ask to know what I was walling in or walling out”. Such physical boundaries give concrete form to a much less visible social contract. Though shaped by landscape, gated and punctuated by signs, lines and barriers, a community begins, essentially, as an idea: its border a meniscus formed by the surface tension of people pulling together. When these are imposed from outside– witness the crude, imperial carve-up of Africa in the 1880s or Europe after the Great War – they tend to end in communal dismemberment. Enduring community is internally conceived and exists as the product of a shared imagination, as the Marxist writer Benedict Anderson observed, in Imagined Communities, his seminal work on nationalism. Nations, he writes, are “conceived as a deep, horizontal comradeship”, the limits of which are fixed in relation to one’s neighbours. Boundaries are thus concerned with belonging – the consequence of what St Augustine called “the common objects of love”, notwithstanding the fact that, when people love in common, the objects of their shared fear and hatred are never far away. So then, to play borders down is not to belong: to love everywhere equally is to love nowhere very much. Contemporary human geography tends to encourage the view that heavily drawn national and local boundaries are, at best, socially restrictive and, at worst, geographically redundant. In For Space, her apologia for a more ‘open’, dynamic conception of locality, the influential British Geographer Doreen Massey contends that, in the Modern era, space was seen as an essentially static commodity, ripe for conquest and containment. This, she argues, was profoundly flawed, geographically, as space, being a social product, always evades capture by its very fluidity. Her plea for a more ‘messy’ understanding of space and place is at its most winning in its desire that they should enable the ‘thrown togetherness’ that ‘may set us down next to the unexpected neighbour’. Against the rigid mapping of human territory, she writes: “On the road map you won’t drive off the edge of your known world. In space as I want to imagine it, you just might”. But the vital counterpoint is that boundaries enable one to do just that – by delineating and describing the ‘known world’. Indeed, there is arguably no such thing as a ‘known world’ without a boundary, personal knowledge always being limited. Boundaries are thus a necessary part of human physicality: communities require them as bodies require skin. They exist in order to enable social inclusion, not frustrate it. For the sake of a clear and pleasant worldview, there is a temptation to remove them from sight: to make each one a kind of cultural ha-ha, giving the illusion of free passage until you realize the ground has disappeared underneath you. ‘Where’ and ‘from whom’ I learn my morality turn out to be crucial for the context and nature of moral commitment, as any form of morality will be intimately connected with specific institutional arrangements. Nevertheless, the shared task of reconstructing the wall – dismissed at first as “just another outdoor game: one on a side” – becomes both the occasion and the fulcrum of his relationship to the old man next door, whose only refrain is ‘good fences make good neighbours.’ The pressing contemporary challenge is thus not how to dismantle borders, but reconfigure them so that both ‘inside’ and ‘outside’ relationships are enabled in morally and socially positive ways. Fundamentally, this requires starting, not at a community’s limits but at its centre, for boundaries are merely the extension of our core vision and purpose. If your society’s borders have gone haywire, something is badly wrong at the centre. When, however, the ‘soul’ of a community or nation is secure, the borders can afford to be less so, paradoxically, because – to employ the familiar trope of neighbourhood – this is the kind of place where you can leave your door open. May it become so here. Parish: An Anglican Theology of Place is published on 30th June. For more details about the book, do take a look at our website.